Memory and elasticity are just a few of the concepts I never thought I'd have to take into consideration when knitting. Turns out, they are pretty essential. 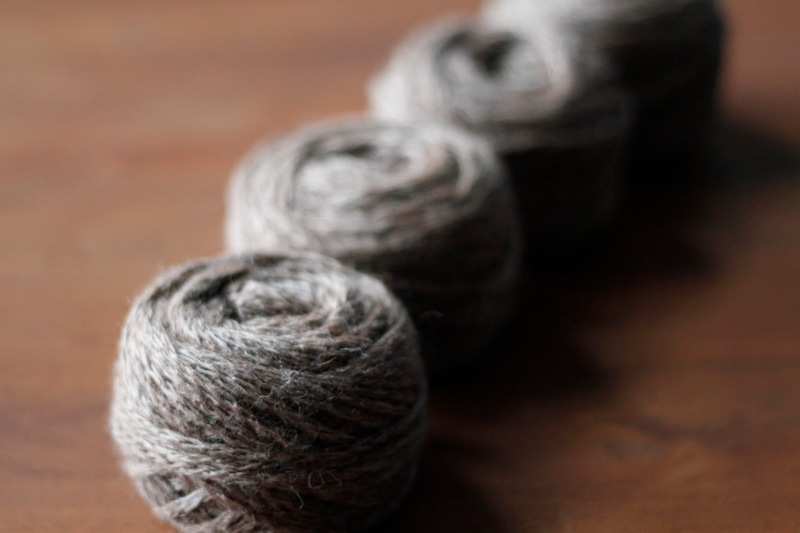 As I'm starting my journey learning about yarn selection, I've come across these two crucial concepts in an interesting way. 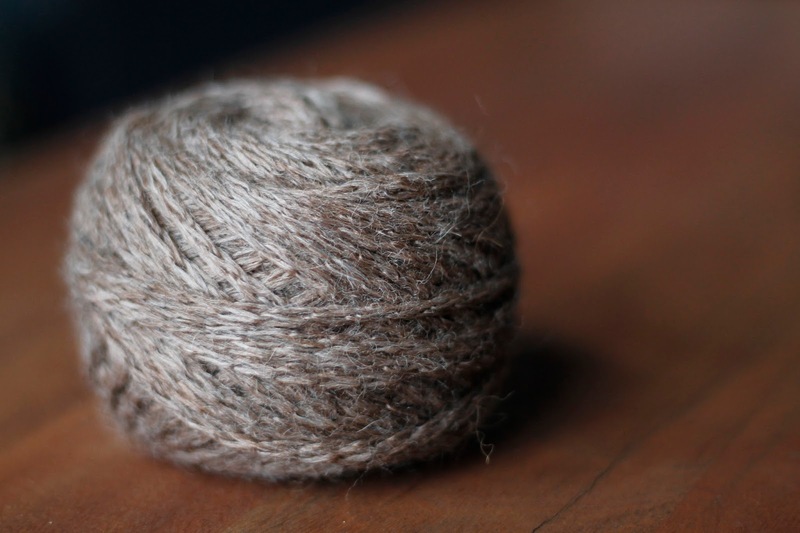 The first time I felt MountainTop Chalet by Classic Elite Yarns, I was won over by the delightful softness. I pretty much decided that I wanted to knit absolutely everything out of it, and maybe also roll in it for a while. Even better, they have all this earthy beige and grey which I love. I was overly enthusiastic, planning a long list of projects to make out of this perfect mix of alpaca and bamboo, but reasonably settled on a big thick cowl. I chose the hot pattern at that time, the GAP-tastic by Jen Geigley, which everyone seemed to be knitting. You can follow her pattern or improvise: choose your favourite yarn, an appropriate size circular needles, cast on stitches to get the desired length, and knit in seed stitch until you reach the desired height. I used 4 skeins of MountainTop Chalet, and loved both the look of the seed stitch and the feel of the yarn. It is by no means a challenging project, and the stitch repetition does get a bit mindless, making it is a perfect side project, to relax after counting endless cables or keeping track of more complex patterns. I actually finished the cowl a while back, earlier in the winter when it was still cold here, and I've worn it quite a bit. It started off being super cozy, tight around my neck, and as the weather started getting warmer, it... grew. It's pretty loose now, which works well with the lovely spring weather, but it is a rather unexpected outcome. 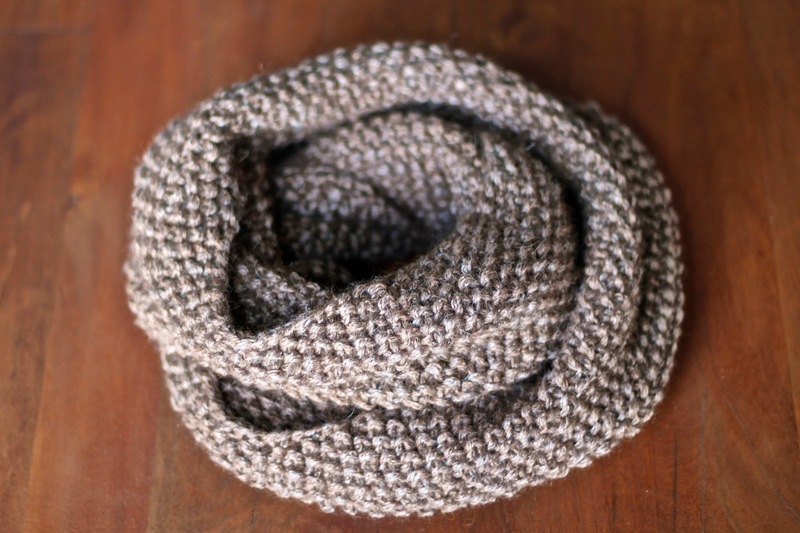 A few friends of mine have also made this scarf with the same yarn, and had the same experience. I don't regret my yarn choice, and still love the cowl, but it now serves a different purpose. If I had known as I was planning my winter cowl, I might have chosen a different yarn, keeping this one for a shawl or a blanket. 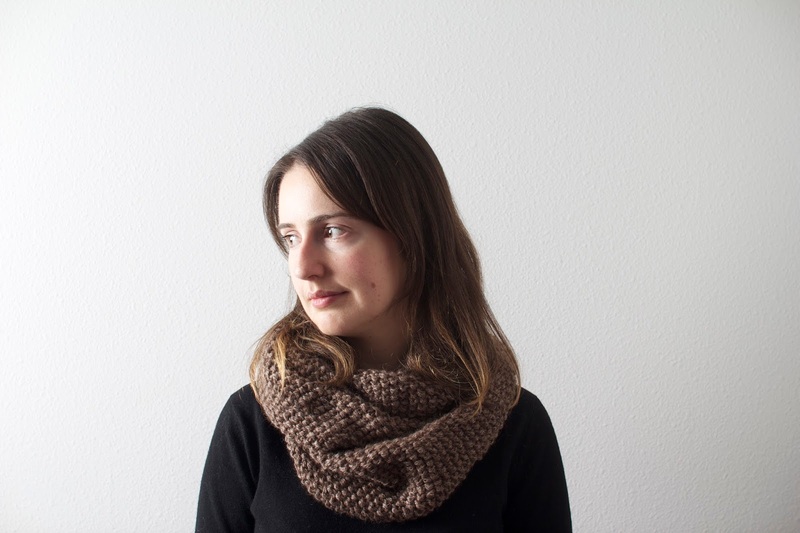 Turns out, once it grew, it made for the perfect spring cowl, when the mornings and evenings are dramatically colder, or when you feel the chill from the sun disappearing behind the clouds. It is the perfect accessory for sitting on a patio, sipping a cold sour beer and grabbing a snack at the nearby food truck.